WASHINGTON, Nov. 6, 2013 /PRNewswire-USNewswire/ — Plastic bottle recycling by consumers increased 161 million pounds in 2012, edging up 6.2 percent, to reach nearly 2.8 billion pounds for the year, according to figures released jointly today by the Association of Postconsumer Plastic Recyclers (APR) and the American Chemistry Council (ACC). The recycling rate for all plastic bottles rose 1.6 percent to 30.5 percent for the year. The 23rd annual National Post-Consumer Plastics Bottle Recycling Report marks the twenty-third consecutive year that Americans have increased the pounds of plastic bottles returned for recycling. The number of pounds of used bottles collected in the United States has grown each year since the industry survey began in 1990. During 2012, the collection of high-density polyethylene (HDPE, #2) bottles – a category that includes milk jugs and bottles for household cleaners and detergents – rose 45.3 million pounds to top 1 billion pounds for the first time, helping to boost the recycling rate for HDPE bottles from 29.9 to 31.6 percent. “Thanks to increased consumer access to recycling programs and growth in single-stream collection – whereby consumers place all recycled materials into a single bin – plastics recycling is one of the easiest things we can do to benefit the planet,” added Steve Russell, vice president of plastics for the American Chemistry Council. “In the United States, we have the capacity to recycle more used plastics than we are currently collecting, and innovative manufacturers are using these materials in new and exciting ways. Each of us can help by doing our part to get more used plastics into a recycling bin,” Russell said. Bring it back. If you empty a plastic bottle on-the-go, bring it back to a bin. Recycle all plastic bottles. Today, recyclers collect all types of plastic bottles, regardless of the number, or resin identification code, printed on the bottom. Don’t forget about caps! Recyclers want both caps and bottles, so please remember to twist caps back on bottles after use. This year’s survey of plastic bottle recycling also found that the collection of polypropylene (PP, #5) bottles rose to nearly 47 million pounds, an annual increase of 7.2 percent, with 73 percent of that material processed domestically as PP, rather than mixed with other resins. Domestic processing of postconsumer PP bottles increased 14 percent to reach 43.5 million pounds. Although PP caps and non-bottle containers are widely collected for recycling in the United States, these data are released in a separate report on recycling non-bottle rigid plastics, which will be released in the coming weeks. Together, polyethylene terephthalate (PET, #1) and HDPE bottles continue to make up over 96 percent of the U.S. market for plastic bottles with polypropylene bottles comprising half of the remaining 4 percent. Exports of HDPE bottles rose 30 million pounds to 201 million pounds in 2012, while imports of postconsumer HDPE decreased by 35 percent to 33.1 million pounds, which, combined with increased collection and exports, resulted in slightly lower purchases for U.S. reclamation plants. The full 2012 report National Post-Consumer Plastics Bottle Recycling Report is available on the “Reports and Publications” section of ACC’s website and on APR’s (www.plasticsrecycling.org) website. Data on PET recycling referenced in the report were separately funded and published by APR and the National Association for PET Container Resources (NAPCOR). A separate report, entitled 2012 Report on Post-Consumer PET Container Recycling Activity, is available on APR’s website. The survey of reclaimers in the study was conducted by Moore Recycling Associates, Inc.
Resources for municipal recyclers are available at www.allplasticbottles.org and www.recycleyourplastics.org. 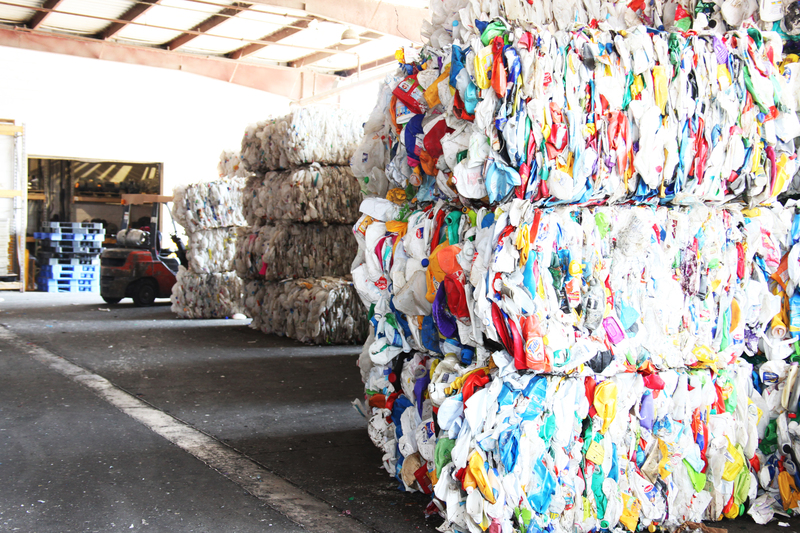 The Association of Postconsumer Plastic Recyclers (APR) is the national trade association representing companies that acquire, reprocess and sell the output of more than 90 percent of the post-consumer plastic processing capacity in North America. Founded in 1992, its membership includes independent recycling companies of all sizes, processing numerous resins. APR strongly advocates the recycling of all post-consumer plastic packaging. The American Chemistry Council (ACC) represents the leading companies engaged in the business of chemistry. ACC members apply the science of chemistry to make innovative products and services that make people’s lives better, healthier and safer. ACC is committed to improved environmental, health and safety performance through Responsible Care®, common sense advocacy designed to address major public policy issues, and health and environmental research and product testing. The business of chemistry is a $770 billion enterprise and a key element of the nation’s economy. It is one of the nation’s largest exporters, accounting for twelve percent of all U.S. exports. Chemistry companies are among the largest investors in research and development. Safety and security have always been primary concerns of ACC members, and they have intensified their efforts, working closely with government agencies to improve security and to defend against any threat to the nation’s critical infrastructure.